Aquarium setup: Tetraodon suvatii (Arrowhead Puffer) requires a deep layer of sand that should be as deep as the fish is long to allow the fish to hide themselves in the sand. Best kept alone or with other Tetraodon suvatii (Arrowhead Puffers). If more then one is kept in an aquarium make sure there are a lot of hiding places among plants and rots. The fish should not be able to se each other at all time. Good circulation and regular water changes (up to 50% a week) are required since they are messy eaters. 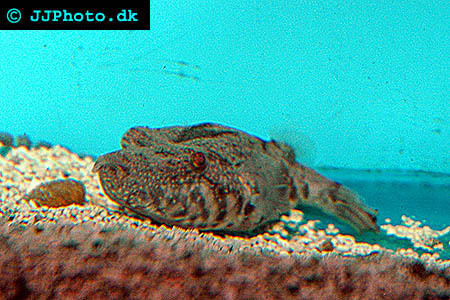 Tetraodon suvatii (Arrowhead Puffer) are sensitive to ammonia and nitrites. Feeding: Very predatory. Can be trained to accept dead food. Best kept on a diet consisting of Krill, shrimp, crayfish, crab and the occasional feeder fish. Feeder fish should not be their main food source. 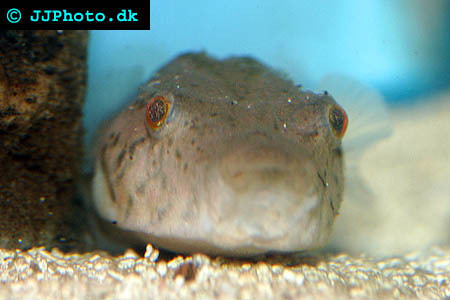 Breeding: Have been breed in aquarium but very little is known.